Washington is trending up following its 7-game winning streak, but resume still lacks a signature win. We’re a little less than two months away from Selection Sunday, which is March 17, and the Huskies are poised to snap an eight-year NCAA tournament drought. 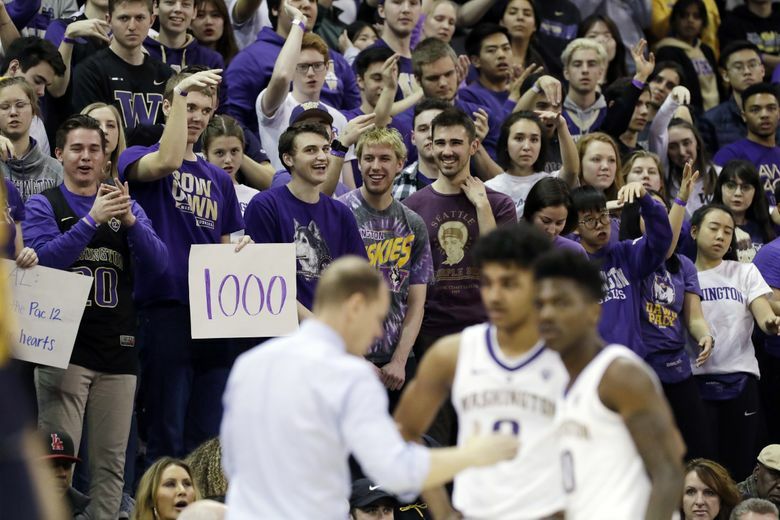 Of course, Washington (14-4, 5-0 Pac-12) would need to avoid another late-season collapse that doomed its Big Dance hopes in three of the past four years. For now, the Huskies are firmly in the 68-team field. Howie Schwaab at Fox Sports is optimistic about Washington and has the Huskies as a No. 9 seed against No. 8 Florida State in a West region. ESPN’s bracket guru Joe Lunardi projects UW as a No. 10 seed who would play No. 7 Iowa in Salt Lake City. It’s a favorable draw that would likely include a rematch against No. 2 seed Gonzaga if both teams advance. Michael Beller at Sports Illustrated projects Washington as a No. 10 seed in the East region pairing against No. 7 Mississippi. Jerry Palm at CBS Sports is slightly less bullish on Washington. In his projections, the Huskies are the No. 11 seed playing No. 6 Oklahoma in Jacksonville, Fla. with a possible rematch against No. 3 seed Virginia Tech in the second round. Washington, which has a seven-game winning streak, is trending up. Speaking of the NET, Washington is 0-3 in NET Group 1 games. The Huskies could get their first NET Group 1 win this week with a victory at Oregon (11-7, 2-3) on Thursday or Oregon State (11-6, 3-2) on Saturday. Notable wins: At Colorado, at Utah, vs. Texas A&M. Notable losses: No. 1 Gonzaga, No. 11 Auburn, No. 13 Virginia Tech.